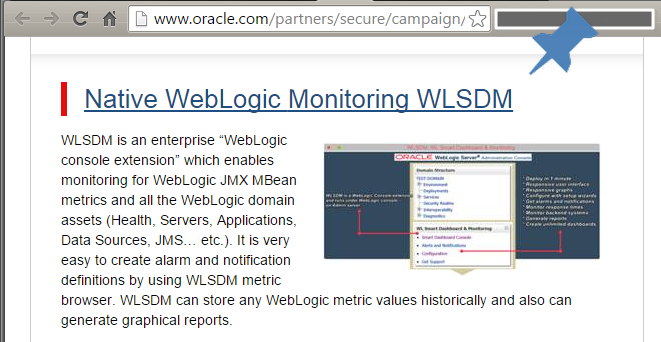 WLSDM Product Issues and Oracle WebLogic Server... WLSDM Installation, Usage, Bug Reports, Oracle WebLogic Monitoring and Administration, Monitoring Oracle FMW Products (SOA Suite, OSB, ADF, IDM, B2B, OFR...) Post your monitoring requests or WLSDM issues for WebLogic! WLSDM log viewer line limit is 1000 but you can search any string and find searched string where line is located in whole log file via “text filter”. There is another way to view log files via WLSDM file explorer. Go to “Operational Tools & Utils -> File Explorer” pick “.log” file then click view button (max 1 mb view size). Also you can download log file to your local environment via file explorer. The WLSDM and the WL-OPC have their own data-archive mechanism. For the WLSDM, default data archive range is 90 days, and for the WL-OPC, default data archive range is 365 days. You can find the settings below. Non-adminstrator users not allowed for administrative operations by default as below screenshots. You can change access restriction configuration in “WLSDM System Settings > system.authorization” page. Default value is OFF in “system.authorization.page.access.fileexplorer.allgroups” feature. It means only administrators can access to “file explorer”. If you turn on this feature, you must set access path for non-adminstrator users then non-adminstrator users only can access the path(s). You can restrict log viewer access configuration via “system.authorization.page.access.logviewer”. Default value is on, it means all users can access log viewer, if you turn off this feature, non-adminstrator users will not able to access logviewer. On the other hand, Make sure you have not applied wlsdm_agent JVM arguments to the AdminServer? If you send the whole details and logs we would like to help you to alter this problem. We have never seen this error before. It looks like this is something relevant to this environment. Have you tried the installation on another domain environment? No; this property is usefull when OPC is down. You had better enable it. Disabling that property will NOT disable for all domains. You can still configure notification settings on WLSDM part; like ON/OFF backend notifications.. etc. The configuration is still same; all the functionalities on WLSDM are still supported by OPC. If you have a specific case; then please let us know in detail to reproduce it. This timeout value is a precaution to protect the system. That's why we can’t let the increase the timeout value by users. If you need a long-running process; you can trigger your WLST script using a shell command. That will cause an immediate return for the main process (Shell Script) but not for the child process (Triggered WLST Script). Also, this type of usage means; The script is out of the control to WLSDM. How to monitor WebLogic MBean Object Metric values? How to get Weblogic Thread Dump when hogger & stuck threads occur? How to get Weblogic Heap Dump when OutOfMemory occurs? 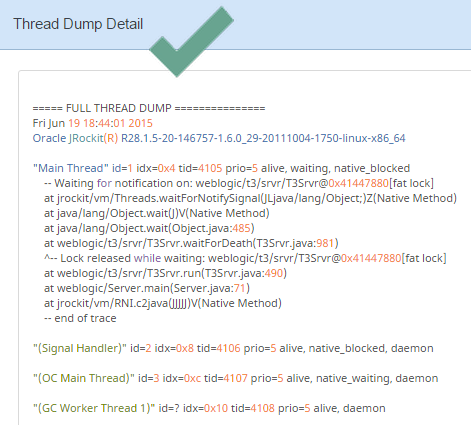 How to get Weblogic Java Flight Recorder (JFR) Dump when performance problems occur? How to get Weblogic Diagnostic Image when performance problems occur? 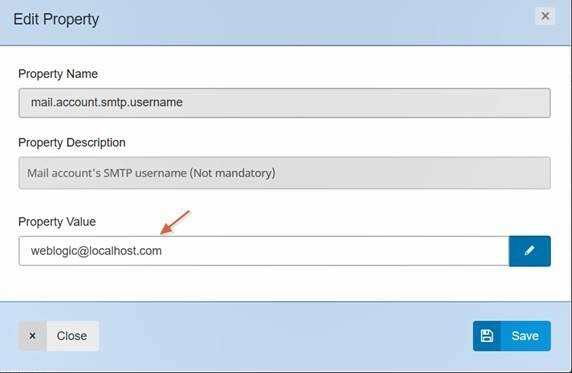 Get SMTP(email) or SNMP(trap) notifications instantly when something goes wrong on your WebLogic Domain. This version is very stable and contains SOA module. It's very enjoyable to monitor Oracle FMW SOA Suite domains by using WLSDM. Search any text in WebLogic MBean Instance Type Search any text in WebLogic MBean Attribute Type Search any text in WebLogic MBean Instance Name Search any text in WebLogic MBean Attribute Name See all the WebLogic MBean attribute values on search results Compare WebLogic MBean attribute values New “Domain Overview > Timeout Values” page is added. Centralize WLST scripts by using WLST Web Console. Automate WebLogic domains by using User Defined MBean Actions. How to retrieve the current stack information from a WebLogic server continuously? User Mick O'Donnell posted this question 30776122 on stackoverflow portal, which is about getting stack dump or thread dump from WebLogic server. Thanks to Brett Walker that he addressed WLSDM. Absolutely, he redirected to the right place. Normally, it's easy to do by shell and WLST scripting; but getting thread dump continuously can be challenge and risky. It can create an overhead on your WebLogic domain. Step-1: Go to "Configuration / System" Page and focus on "system.metric" tab. There are two important properties on WLSDM configuartion/system page. Metric harvest frequency and number of alarm count till alarm situation is valid. Screenshot is below and values are default. The harvest frequency and number of alarm count can be changed. For the continues thread dump, just set it more than 1. Let's set the value to 10. Which means 10 alarms would be generated if the situation is still valid. Step-3: The alarm must be enable by setting a threshold value which is less than current ActiveExecuteThread MBean value in ThreadPoolRuntime. After all, WLSDM would start notifying you via email by attaching "WebLogic Server Thread Dump" or "Dump Stack" files continuously. Check below screen shot. WLSDM created ALERT notifications every 30 seconds by attaching thread dump files. See pointer. Thread dump files attached to emails. 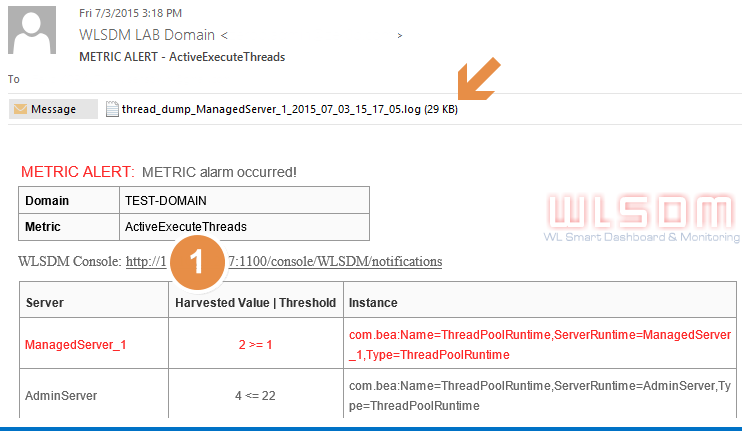 Also the thread dumps are listed on "Profiling Dumps" page on WLSDM console. See details of thread dump on WLSDM console. 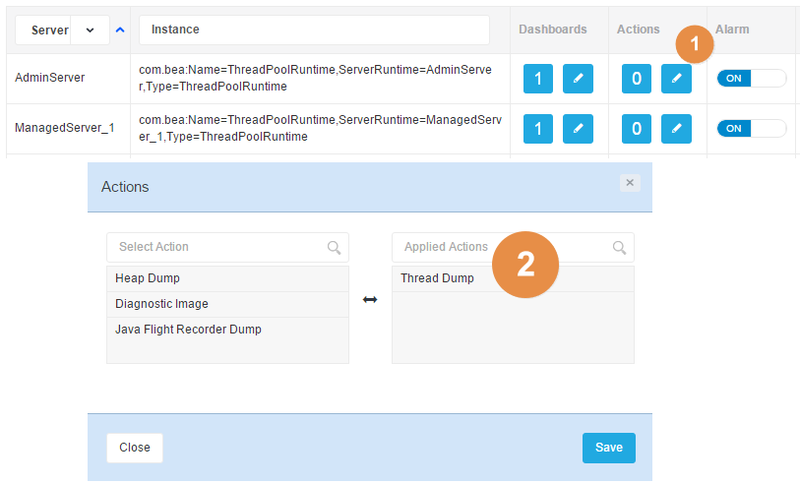 It's possible to analyze thread dumps by using WLSDM's thread dump viewer and analyzer module. Hope, you enjoy this detailed answer on WLSDM community portal. 3- Other YouTube tutorials available. 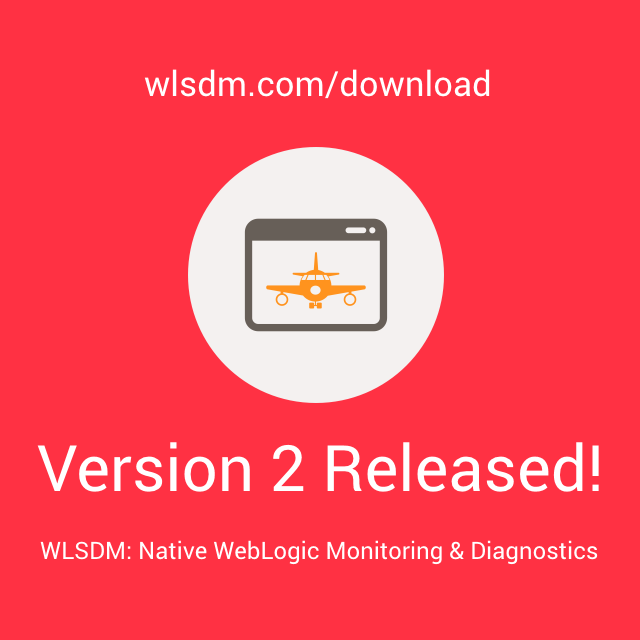 WLSDM v1.2.0 released and ready to monitor mission critical WebLogic production domains. 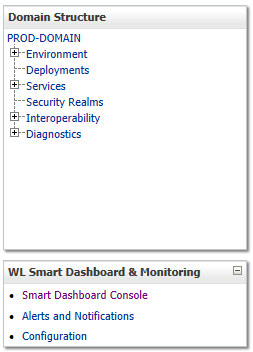 Hope, WebLogic administators enjoy using WLSDM. We designed and implemented this product according to WebLogic administrators' requests. If you have any problem, do not hesitate to post it on WLSDM community portal. I am donwload the zip and imported in Generic DevOps MBean but its giving no response calculated error and not letting to proceed to next page. Please guide me if i am missing step. Yo need to edit script according to your environment. Add soap-request.xml to server and replace  [email protected]/Users/admineer/u01/scripts.imac/curl.ws/soap-request.xml Replace /Users/admineer/u01/scripts.imac/curl.ws/response.xml Replace (Also add to server) "@/Users/admineer/u01/scripts.imac/curl.ws/curl-format.txt"
For testing below script the server must access the http://www.webservicex.net/globalweather.asmx URL. I am highly recommending work with an "inhouse" business Webservice. You need to reconfigure this according to your service. 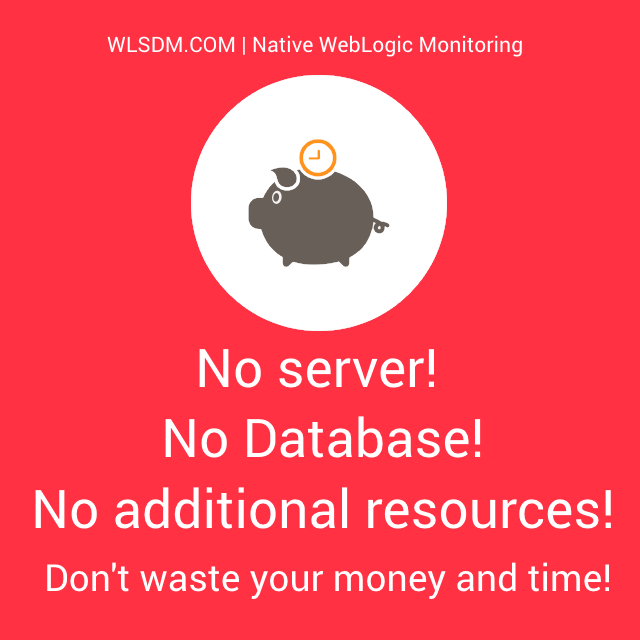 Case: Monitoring ACTIVE/INACTIVE Oracle Database Sessions on WebLogic? I have prepared a short screencast tutorial about monitoring DB sessions on WebLogic. 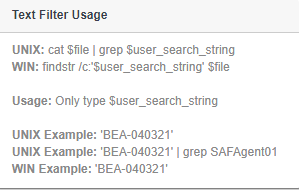 It can be extended by adding machine, inst_id fields from gv$session and gv$sqlarea. 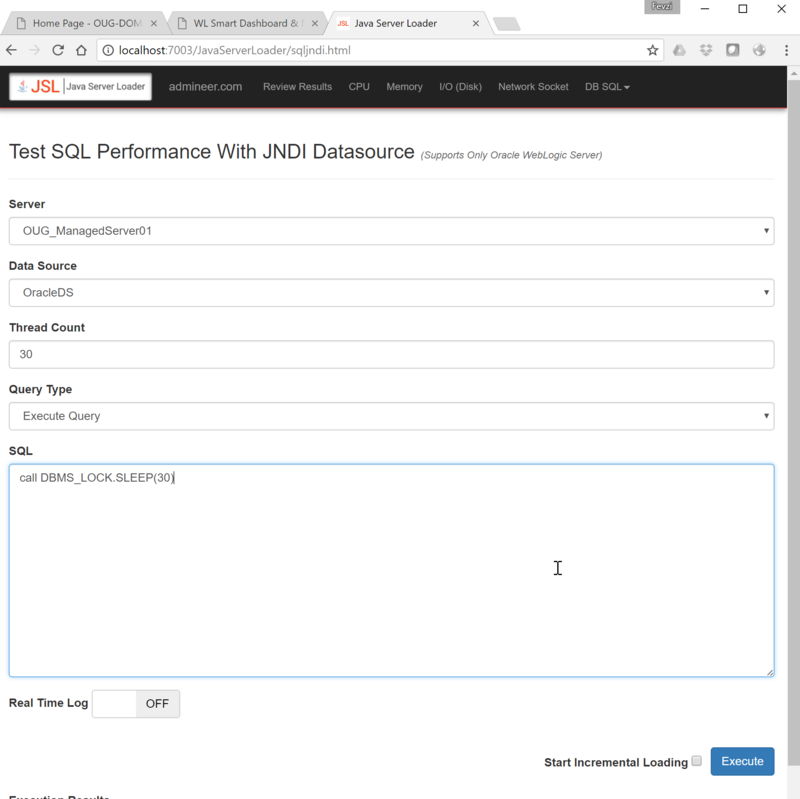 You can use below SQL on Oracle Database for your reference to understand what is going on at your Oracle database then reflect and visualize it on WLSDM dashboards. Sreencast GIF File URL: Simply download and share with your team members. Contains useful and educational knowledge about how WebLogic works with Oracle DB and how WebLogic behaves on database operations. 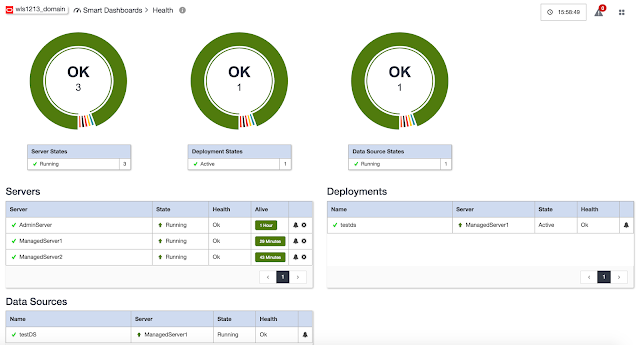 I am going to share WLSDM DevOps MBean scripts to monitor WebLogic environments and trigger auto actions. Hope other users will use this topic and share their scripts and let us see what can be done for WebLogic automation.